After being recommended by NineDesign, Are and R approached me to redevelop their current website to be more robust and welcoming. 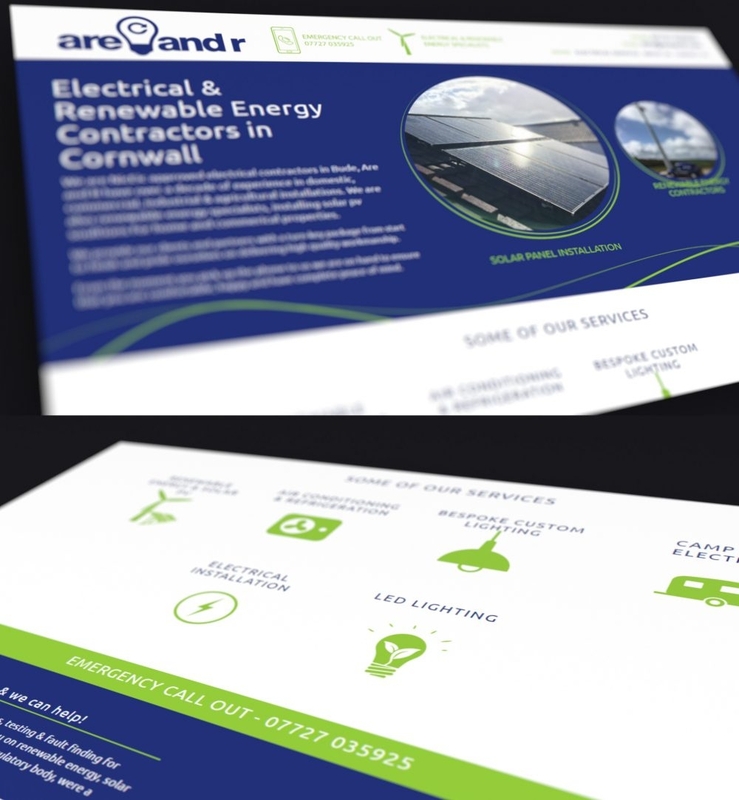 The new website is split into clear sections using silhouette icons, and provides visitors with plenty of information about all the services Are and R offer; Renewable Energy & Solar PV, Air Conditioning & Refrigeration, Bespoke Custom Lighting, Campsite Electrics, Electrical Installation and LED Lighting. A bespoke animated banner was developed that gave the website some life whilst also making it a bit different and allowing the team to easily update the pictures. The site is completely responsive and looks great on desktop, tablet, and mobile. Dean’s ability to take a brief and make it a realisation is exceptional. His attention to detail and creative flair is truly professional and his ability to work with people at all levels reflects in his unique range of styles, Not only is his work of great quality but he is able to turn it around quickly. I would definitely recommend Dean and I look forward to working with him again soon to extend my portfolio. How lucky for Bude to have someone of Dean’s calibre right on the doorstep!